$200 Xbox One S Bundle Available Again - $100 less than you'd normally pay. Once again, you can pick up an Xbox One S for $200. 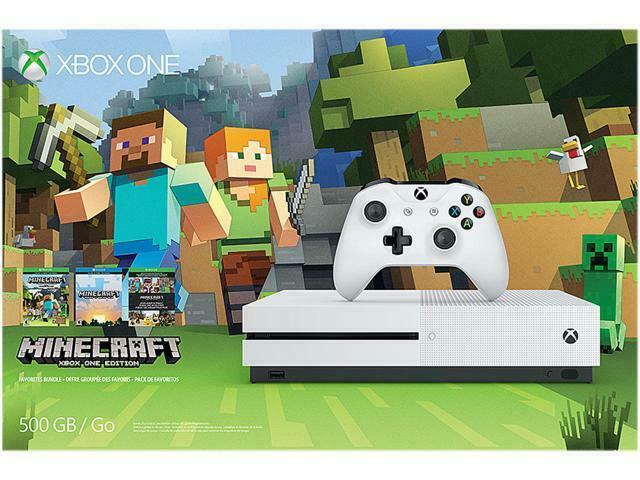 This offer includes the white, 500 GB system that comes with Minecraft. While that's not the most expensive game to be bundled with an Xbox One, this is still an outstanding price for a new console. It's available right now in the US through eBay from Newegg. Shipping is free and you may not have to pay tax. Only a limited number are available and we don't know when this will sell out, so you should act quickly if you're interested. Microsoft recently cut the price of Xbox One models by $50 for a limited time, matching an equivalent offer from Sony on the standard PS4. Those promotions run through the end of this week.